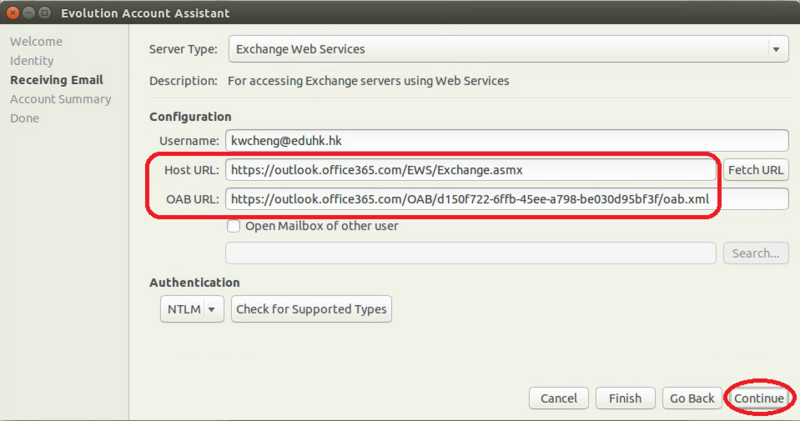 To configure the Evolution client to access the Office 365 environment, follow the steps below. Note: These instructions use Evolution 3.10.4 and the evolution-ews plugin version 3.10.4, result may be vary on different versions. Choose Add from the Mail Accounts menu. 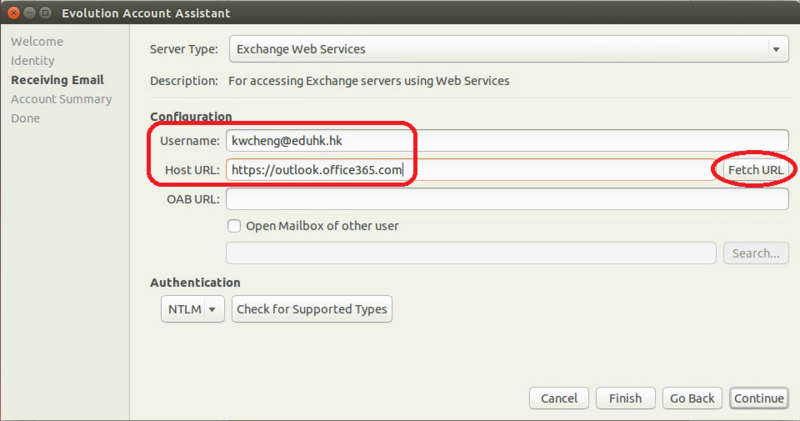 Enter your name as you would like it to display and enter your full email address "username@eduhk.hk" for Email Address, click Continue. If prompted, enter your password once more.